Mac has been involved in the creative end of finance and technology. The first software application that he designed and developed was “RightRoute,” a telecommunications network optimization software application designed, developed and then sold to a public Corporation in 1990. In 1996, he was a co-founder of InnTechnology, Inc., which designed and developed a unique network printing solution for hotel guest rooms (e.g., the Venetian Hotel in Las Vegas and many others). The system provided in-room printer/copier/fax machines and printed hotel bills in guest rooms in addition to monitoring in-room guest printing, copying and faxing while posting charges to guest accounts. 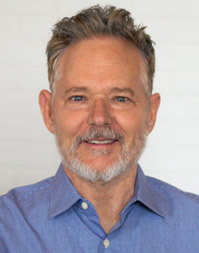 Mac conceived of and designed a unique and sophisticated financial-deal-structuring software application for Waterfall-IRR Corporation (which he founded) and was acquired Intuit Corporation in 2008.